Looking for a Building & Landscaping quote in Guildford? If you’re looking for any general Building & Landscaping work in and around Guildford then please do not hesitate to contact us. We pride ourselves on our great level of service and high standard of workmanship. At Mason Stowood Property and Landscapes, we have years of experience in the property restoration and home improvement sectors. We combine the talents of our time-served builders and landscapers with the skills of master craftsmen from all certified specialist trades. 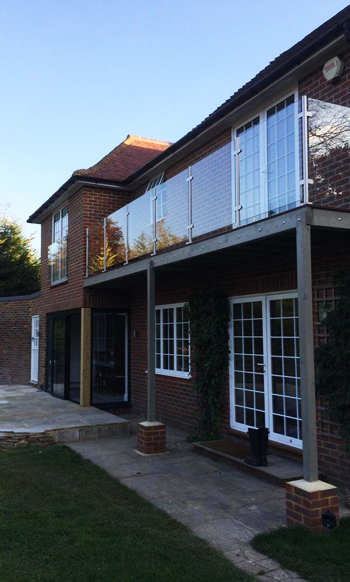 We work on all projects, from home extensions to new driveways and patios. Our company prides itself on exceptional standards of workmanship and the delivery of tailored project management. Mason Stowood is based in the Surrey Hills, close to Guildford, and has built a strong local reputation. We are very proud of the level of repeat business we receive. Our clients know they can trust our outstanding customer service, our reliability and the high quality workmanship of our builders and landscapers. Call Mason Stowood Property and Landscapes on 01483 600303 to find out more about property extensions and hard landscaping services in the Guildford area. Site visits for estimates or quotations can be arranged at a time, convenient to you, where we discuss the individual requirements of your project. Once contracts and timings have been agreed, the team will arrive to prepare the site, ensure access and finalise safety before work on extensions, driveways and patios can commence. Communication throughout your project is always given high priority and if required, we can liaise with the local authority for Guildford on your behalf. 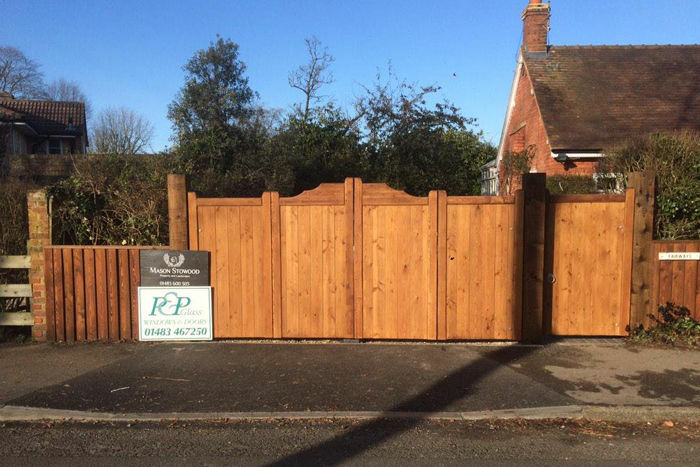 All workmanship is guaranteed, we are fully insured and we trade as a proud member of the Guild of Master Craftsmen. Below is a recently completed landscaping project in Shalford. "We are so pleased with our new downstairs cloakroom which looks fabulous! Mason Stowood gave us helpful, practical advice throughout the process and always ensured we were happy with every step. We were particularly impressed by their attention to detail and the high quality finish, in addition to their careful consideration towards our family life whilst they worked. We would definitely use Mason Stowood again for future projects and highly recommend them to others who would like a friendly, trustworthy and professional service." "Wow! Where do we start? Our brick built shed that was full of rubbish is now suddenly the coolest room in our property! Mason Stowood were so instrumental in helping us design our outdoor office/studio. The workmanship is second to none, attention to detail was impeccable and the finished result is the envy of all our friends and more than we could ever have wished from our ‘little’ shed!!" "We would definitely use Mason Stowood again for future projects and highly recommend them to others who would like a friendly, trustworthy and professional service." "As well as responding quickly, being punctual, professional and friendly, nothing is too much trouble, Mason Stowood offer an excellent service." "I was very impressed by the service provided by Mason Stowood. They were very efficient and showed excellent initiative ensuring the restoration was completed to the highest standards, on time and within budget." "Mason Stowood recently replaced an ivy covered boundary fence and our roof gutters, and painted the eaves and windows. The planning and work itself was done professionally, to a high standard, and on time. Great care and attention was given to the preservation of plants, and to the cleaning up on a daily basis. We would highly recommend them for maintenance work as advertised both indoors and outdoors."